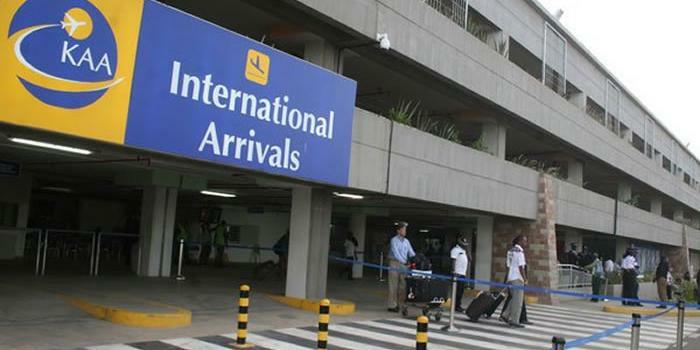 Two men were arrested today at the Jomo Kenyatta International Airport (JKIA) for stealing from a passenger in the airport. The two, Mr Kennedy Ochieng (22 years old) and Mr Kevin Ogega (25), according to information from the Directorate of Criminal Investigations (DCI), are employees of Tropical Promoters- a company that offers Trolley services at JKIA. According to passengers who have gone through the airport, this is not the first time such an incidence. To them, it has become a norm. “They also normally hide some peoples luggage at the international arrivals conveyor. The luggage magically appears after you accept their assistance (at a fee obviously),” says a tweep using the account N Rashid. Mid this year, an Iranian reported to the police that Ksh750,000 disappeared from his bag at the airport in unclear circumstances. Mehrah Hassan, 30, said he arrived from Qatar aboard flight 1335 on on the material day and was carrying US$7,500 in his bag. “He was profiled and cleared by Immigration officers. He proceeded to the forex bureau to change the money. But when he opened the bag he only found a bundle amounting to US$100 (Sh10,000),” the police said of the incident where no one was arrested. Last year, two men vandalised an ATM machine at the airport and made away with Ksh2.9 million, but were later arrested by the police. Two years ago, a customer lost luggage at JKIA, only for it to be found at Amsterdam, with important contents of the documents lost. “I flew out of JKIA with KLM. I was checked in by Kenya Airways staff for my KLM flight. Upon arrival at my final destination, one of my bags was missing. Within 24 hours my bag was recovered in Amsterdam, and I was told the bag was damaged and all contents missing. This included at 17kg Persian Rug, 2 large wooden sculptures and several medical files and prescription medication (liquid form),” said the passenger, who complained to bloggers after Kenya Airports Authority failed to address the issue. When she posted her complains at the KQ’s Facebook page, they kept deleting the posts, further raising suspicion. It is thought that there is a syndicate involving staffers and well placed managers who collude to steal valuables from passengers.